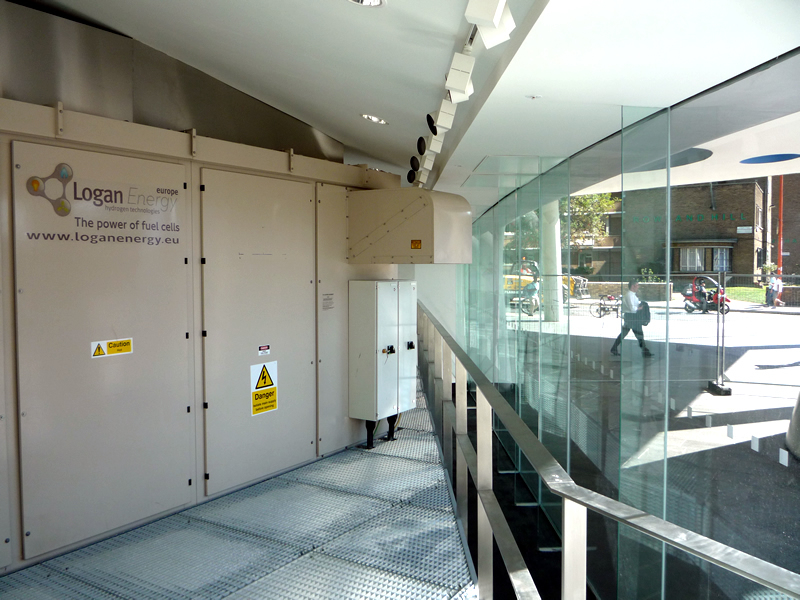 Logan Energy completed the installation and integration of a 200kWe PAFC power module and associated cooling module at the TfL Palestra Building in Southwark, London. The fuel cell forms part of an integrated tri-generation system providing electrical energy, heat and cooling to the Palestra building. It is the largest capacity fuel cell operating in London. Kit Malthouse, former Deputy Mayor of London for Business and Enterprise, said “it’s an established technology that makes commercial and operational sense, saving money and providing more resilience – as well as the obvious environmental benefits”.